The first outdoor meeting was at Pam Lloyd’s fields at New Grove near Trellech. 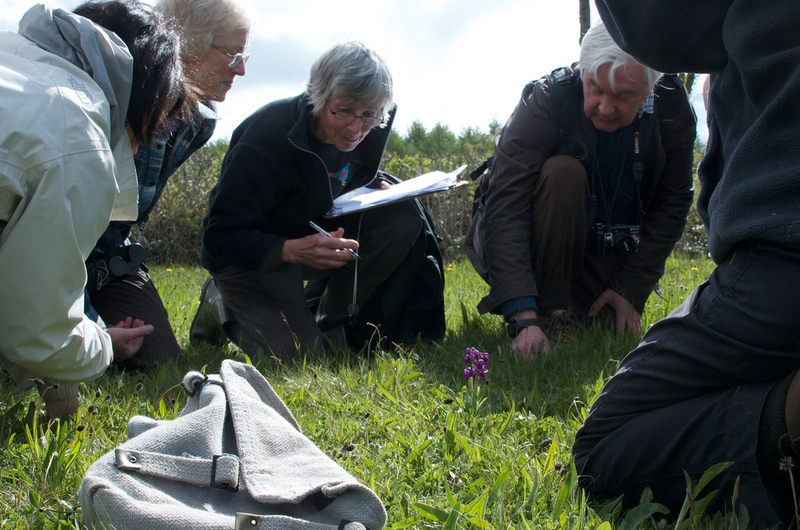 This was well attended with 18 people helping to count Green-veined Orchids in Pam’s two fields and the grassland area adjacent to her drive and in each of the Gwent Wildlife Trust’s four adjacent fields and to carry out surveys of all associated plants within a one metre radius of a selected orchid (in the densest area) in each field. The counts will have been underestimates as many flowers were only just emerging but in Pam’s fields we noted 148 flowers, in the Trust’s two species-rich fields were 2483 and in the first of the semi-improved fields to the south were an incredible 2211 orchid flowers and just 14 in the field closest to the entrance to Loysey/Wet Meadow Wood. Other species of note included Early Purple Orchid, Adder’s Tongue fern in Field 1, Twayblades, much Spring Sedge, some Glaucous Sedge, much Bulbous Buttercup, Milkwort and Cowslips. Thanks to Pam Lloyd for letting us park at New Grove Farm and walk her fields and to GWT. Ann Robinson took plenty of photos of groups of people and Jon and Marilyn Dunkelman arranged for a photographer to come along and he took many photos of people and orchids. Many thanks to all who came and helped carry out the counts and plant surveys. 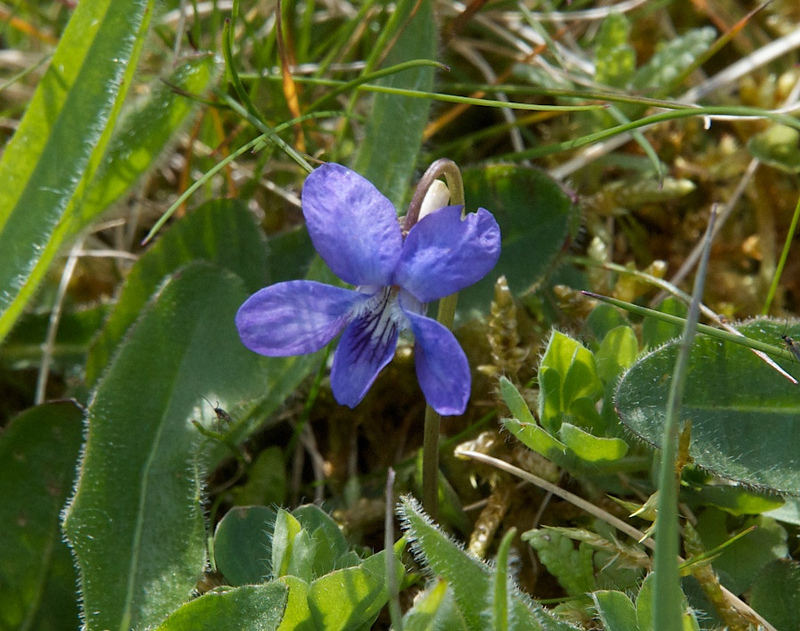 Then came a series of Open Days on successive weekends between 3 June and 8 July with a Bioblitz organised by SEWBReC at Tymawr on 23 June. 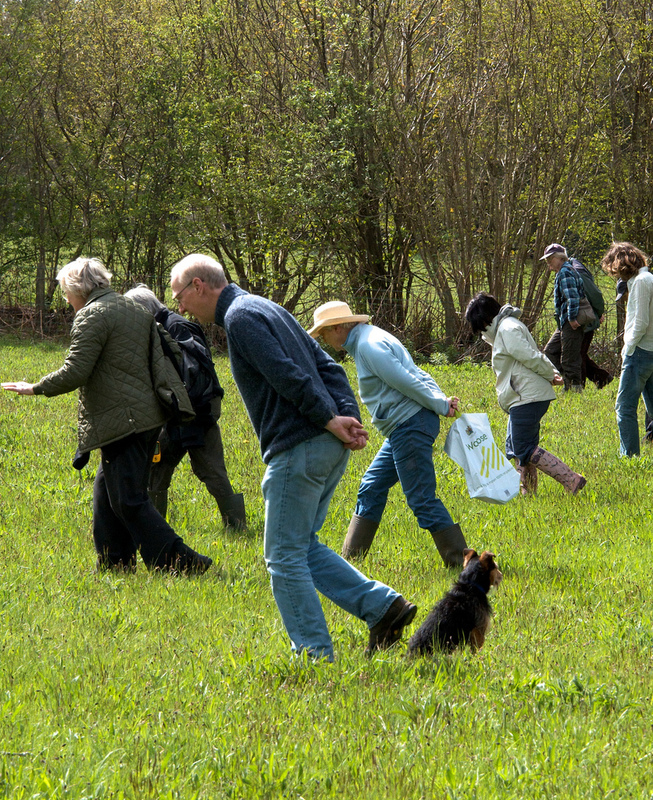 Although the Tymawr Bioblitz had a good crowd to identify plants, birds, insects and anything else that people came across, the Open Days were poorly attended. No doubt the weather played a part in keeping people at home but members who didn’t venture out missed some treats. Richard Cornock on two weekends escorted visitors around his smallholding where he has planted annual crops of plants such as Corn Marigold to provide winter food for finches and other birds. He has also developed a hay meadow, ponds and some rough grassland for Barn Owls to hunt over. His enthusiasm was infectious and all who came were impressed by what he has achieved. Joni and Chris Gooch opened their lovely property – Parsons Grove near Earslwood on what turned out to be a fine sunny day although recent rain had swollen the Cas Troggy Brook. 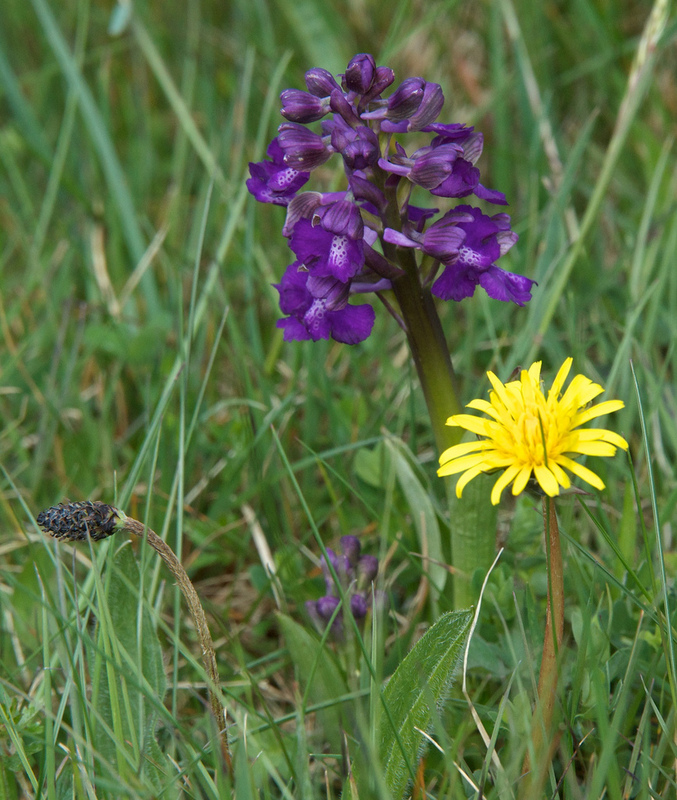 Those who came enjoyed the wonderful views from the top of the hill and walks down through the fields and woodland where an array of plants including Spotted Orchids, Ox-eye Daisies and Ragged Robin were to be spotted. Sheelagh Kerry and Peter Smith opened their hill farm near Bettws, Abergavenny in early July – again the attendance was very disappointing but the afternoon was bright and sunny and the few visitors admired the wonderful views across the valley towards the Sugar Loaf and west towards the Beacons. The hay fields had numerous Spotted Orchids with a few Marsh Orchids as well as an array of other flowers and meadow grasses including the uncommon Yellow Oat Grass and in the spring lines and flushes were various interesting sedges and rushes. 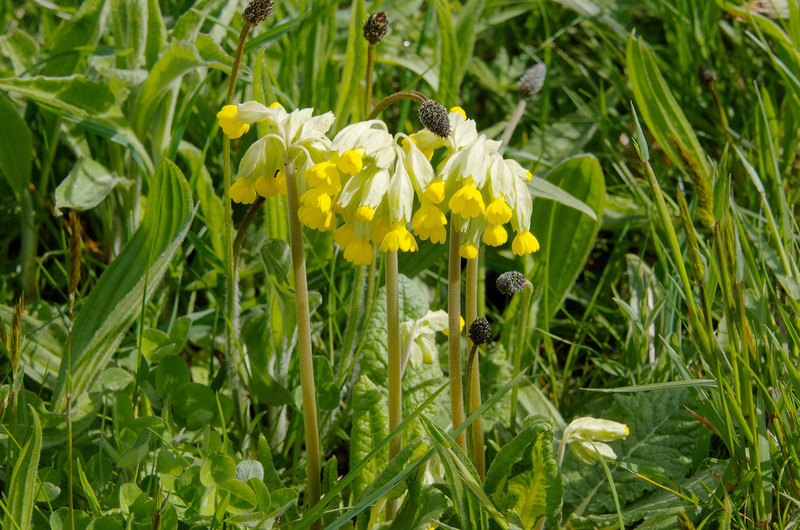 There was an opportunity too to see hay meadows and an old orchard at Flaxley near Little Dean where Chris Parsons of the newly formed and very active Dean group manages these for their flowers and invertebrates. Of particular note at Flaxley is the abundant lovely sounding Corky-fruited Water Dropwort. Next year we may have fewer Open Days but perhaps have two or three sites open on any one weekend. Your views are welcomed and any offers or suggestions of sites to be open would be appreciated. Previous Post Get your working boots on!